It’s the return of the fabled Error 53 problem. 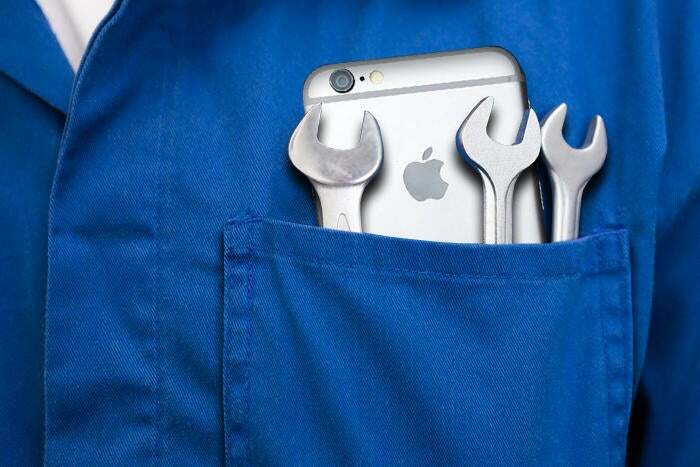 An error message that bricks iPhones when it detects that a repair is made by an independent repair shop. We saw the problem flare up in the U.S. last year. The simplest explanation is that the device would recognize if it had been tampered with and then cease to function. Apple tried to say this was a security procedure designed to stop people undermining device security, but it later relaxed its so-called security check and people stopped complaining about it. That should have been the end of the story, but the Australian Competition and Consumer Commission is taking Apple to the courts, as it claims the company has “routinely” refused to repair devices that had previously been repaired by an independent repair specialist. The regulators reckon that between 2014 and 2016, consumers who did get their devices repaired by independents found their devices bricked the next time they connected them to a computer. “The ACCC investigation revealed that Apple appears to have routinely refused to look at or service consumers’ defective devices if a consumer had previously had the device repaired by a third-party repairer, even where that repair was unrelated to the fault,” the regulators said. You could argue that Apple is simply refusing to fix problems created by those shops, but that's not the end of the matter: the ACCC claims Apple “routinely” refused to repair other problems on devices repaired by third parties. A consumer who got their iPhone screen repaired by an independent shop whose device then developed an unrelated fault would also be denied coverage. That's in breach of Australian consumer protection law. Even if you choose to ignore the rights of consumers there are still arguments against making such moves. Demand and supply: Imagine if every iPhone user on the planet dropped their iPhone tomorrow, Apple would not have enough technicians to fix them all. Free market: Why should consumers be forced to pay Apple’s repair prices to get their things repaired when there are perfectly capable people around who can fix them for less? By denying consumers support as it has done in Australia, Apple is effectively bullying its customers to use only its repair services. I don't think that's fair. I'm not exactly in the “right to repair” camp. I understand that some key technologies need to be kept secure, and I get that as Apple makes devices smaller it will eventually become impossible for anyone other than Apple to repair those things. I also expect that when the Home button becomes haptic the technology used in iPhone displays will make sourcing replacement displays very difficult for third parties. In this light the days of third-party repair services are numbered -- but the end times aren't here yet, nor should they be. We know the most common problem people have with iPhones are smashed or cracked displays. It seems ever so unreasonable to punish people for trying to save a little money by getting them fixed elsewhere. With this in mind I think Apple should figure out how to work positively with third-party shops, rather than forcing consumers to avoid them through decisions like these.